Watch this video for tips! 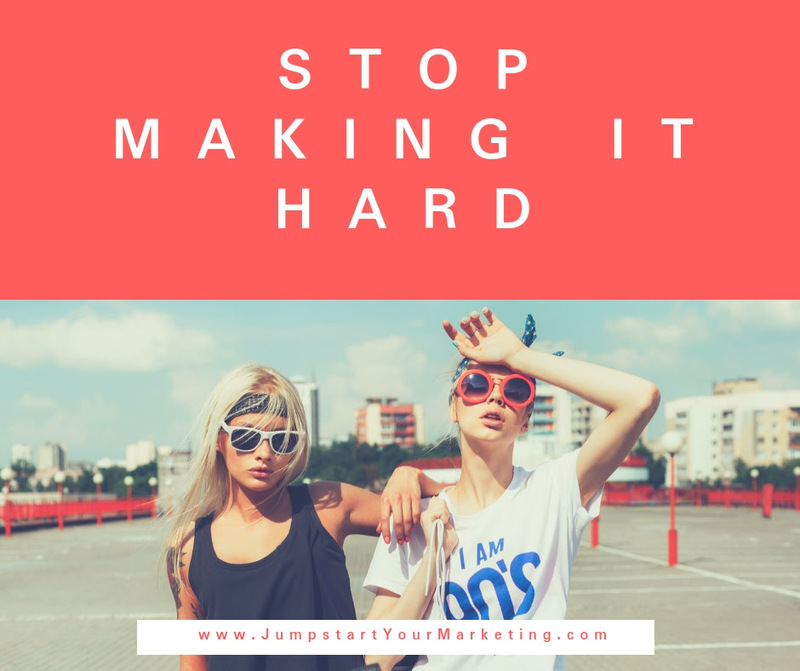 If you’re an entrepreneur that’s tired of hitting your head against the wall trying to figure out how to get more business in the online arena, you will probably like to hear this message I have for you today. JOIN THE INTERNATIONAL ENTREPRENEUR NETWORK NOW and get access to a LOT more trainings like this plus monthly masterminding on zoom and more… all for just $7/month!! Find out more, what you get, how it works and why you want to join ASAP at www.iEntrepreneurNetwork.com. Want to know the ANSWERS to some VERY IMPORTANT LEGAL QUESTIONS that a lot of Entrepreneurs have? Well then listen in on this ONE-TIME ONLY interview with Katrina Sawa and Lauren Cohen. Lauren is an attorney, coach and entrepreneur who tells it like it is. This video was supposed to only be made available to the paid members of the International Entrepreneur Network but was recorded on Katrina’s Facebook profile instead so we are sharing it to the world since it ‘got out’ and because the content is soooo important! NEW NETWORKING STRATEGY you want to embrace! You see, sometimes we can just get to doing too much and it wears on us, ya feel me? We need to find ways to run and market our businesses that are a little easier, interested? People think that I’m always working and doing too much…they wonder how I do all that I do! I get it, it certainly looks like I work 24/7! Frankly, sometimes I do work too much and my body pays the price for that. Last weekend on the last day of my week-long trip (on my birthday), my legs sort of gave out. I had to get a healing treatment by a friend who was with me at the event to help me make it through. It seems the older I get, the less my body wants to take. Well, I have been taking steps to change things up a bit in my business and you can too if you want. You know that “networking in person” is a very close second to being a speaker in regards to getting business quickly, right? They both make it easier for people to get to know you, feel your energy and like/trust/connect with you much FASTER. That means the people you meet in these situations move closer to being a customer or referral source FASTER than in other marketing and lead generation strategies, even social media. Networking in one way or another is what I’d recommend you spend your time doing the majority of the week if you’re really looking to gain more clients right now. HOWEVER… I’ve found another way to “NETWORK” in this way and you don’t even have to leave your house! I travel a lot and I’m finding that if I can substitute this type of networking for some of my in person networking that I have to travel for, it takes less of a toll on my body, family, time and budget frankly. All around a win-win-win. Yep, it’s on those Zoom Video Calls that I’ve been inviting you to for months now (even a couple years really if you include my Masterclasses I did in 2017 and 2018). Please STOP AVOIDING THESE or thinking you don’t need to attend them. First of all, what I’m talking about are NOT a typical webinar. A typical webinar is someone getting on and teaching you something, giving a presentation or a signature talk. Usually webinars also end with an offer of some sort. These are fine BUT you normally can’t “NETWORK” on a webinar. I’m talking about a call that is held on Zoom, the video platform. Why Zoom? Because it’s the closest thing to an in person networking event that you can get – you can “see and feel” everyone’s energy. You can also “talk to each person” in the “chat room”, exchanging contact info, and even taking that relationship pretty quickly to a phone conversation with each other or at least an email exchange to begin the relationship building process. These Zoom calls are especially good when everyone also gets a chance to introduce themselves first, sharing what you do! Then you can even be very specific why you want to connect with the others on the call. I’m telling you, I’m attending or hosting about 6-8 of these calls per month right now – and getting paying clients from them pretty quickly! YOU CAN DO THIS TOO!! You just have to know WHICH calls to get on so you’re maximizing your time – they are NOT all created equal. Plus some other “coaches” host them but do so for their own gain primarily and you don’t end up being able to communicate with others on the calls – watch for those types of calls, they are only there to sell you usually. You have to be selective and I can share with you which will serve you best. I urge you to come “try out” this NEW Networking Strategy that’s really effective and low cost or FREE! You don’t have to know “how it works first”, you just have to “SHOW UP” and I’ll explain it. Join the International Speaker Network for FREE and get access to one Zoom Networking Webinar each month where we do all get to talk but we also have a very short speaker and topic of discussion each month. Find out about these virtual meetings and in person events too if you’re local to Sacramento, CA on our meetup page at www.iSpeakerNetwork.com. Either way, don’t ignore this or put it off, it could be the very strategy that catapults you and your business this year. You just have to make time and schedule in these calls – they are for you to save time and money and get to the heart of building more relationships FASTER that can lead to business FASTER. Don’t let the fear of the unknown stop you, just keep stepping out and taking action towards building the life and business of your dreams! Are you wondering how to get your clients’ (or those who are on your email list) attention these days? Why do you think I’m writing an email about how to get your emails opened? I’ll let you know if this worked. I’m really not trying to trick you, I’m trying to see if you open or respond to this, knowing it must be a concern for you also. I’m not going to STOP emailing you. I’m not going to stop sharing my thoughts, business advice, tips, and personal stories with you. I’m not going to email you less in hopes that you open my emails then or more just to bug you. I’m going to email when I think there’s something of interest to share with you, something that can benefit you in your quest to growing your business, making a lot of money doing what you love! Send them based on your life though – when you want to send them. Send stuff that’s relevant to your ideal clients and community. Tell stories and get personal with them, that’s what they want to hear anyway and what differentiates you from others who do what you do. Stop worrying about how long the email has to be or what days or times to send them though. As you can probably tell there is no magic answer. Just communicate, share, inspire, educate and relate. Period. You don’t need fancy software, templates, designs or logos. But you do need to be compliant these days or your email address, the actual address, could get blackballed and caught in people’s S**M filters. I don’t even want to write the word in here for fear of more walls going up. So, what DO you do to get people to pay attention? Be accessible. Did you know I read every single email that comes my way? Some people actually think I have an assistant who reads them – or writes these even! Nope, it’s all me. Good or bad I guess, it’s what’s on my mind and the minds of my clients. That’s what I try to bring to you. Pretend like you’re writing to your favorite client, yes, just them. See what happens! Wanna Mastermind with me Monday? or this year? Would you like to mastermind with me and a small group of highly motivated entrepreneurs every month? What if I told you it would only cost you $7/month? You’re invited for sure – this could be a great opportunity for you too because it could be EXACTLY what you need right now to get a big jumpstart in your life or business! I haven’t offered this type of group or community EVER. This organization is NOT about me, it’s all about YOU and our members! This is entirely different than anything I’ve ever created also because it’s all about COMMUNITY. In case you missed this in my last few emails the last month or so, I founded the International Entrepreneur Network. This is a community who will support and guide you 100%! It’s a community where you can BE YOURSELF, share your thoughts and expertise, showcase your value as well as receive huge value, advice and resources to grow your business. Our next call is this Monday, March 26th from 4:30 – 5:30 pm PST. (scroll down for all the benefits)This is an amazing group just for YOU! Here’s a pic of our last call end of February, and we’ve already doubled in size! It’s all about masterminding, getting answers to your questions – live time, whenever they come up. I don’t want you to be slowed down ever in your business by not knowing what to do, how to do it, or where to turn. The International Entrepreneur Network (IEN) is the ONE community that will be that ALL-IN-ONE resource for you. Regardless if you’re in other programs, have other mentors, masterminds or are involved in other business or self development communities… for the price of ONE Starbucks coffee pretty much every single month you could receive sooooo much value, connections and awesome ideas even to help you start up, grow, market and monetize your business. Frankly, my Live Big Mastermind clients pay thousands of dollars to attend our mastermind retreats, events and calls all year long but you won’t have to do that. The first 200 founding members of the International Entrepreneur Network will only pay $7/month as long as you remain active! PLUS, as soon as we get to that level, I’ll be pulling some of the founding members in to either moderate the facebook group (getting more exposure for YOUR business online) or on the calls (sharing YOUR expertise even more)! So hurry and sign up here and I’ll count you in! Receive a Free Marketing Webinar Training when you register today! Twice Monthly Zoom Calls for Laser Coaching, Q&A, Masterminding, Hot Seats, Collaborating, Spot Training & Whatever Any Member Shows up and Needs!! Calls held on Zoom, video platform, LIVE every month on the 2nd Monday from 11:30 am – Noon PST and the 4th Tuesday from 4:30-5 pm PST. As the membership grows we will extend the calls or schedule more times to accommodate the growth. Private Facebook Group for Connecting, Sharing Challenges, Getting Feedback on your Marketing Materials, Launches, Logos, Ideas and so much more! Opportunities to Promote Your Business, Be a Guest on Facebook Lives, Share Your Expertise, Be Seen as an Expert in Your Industry and more! JOIN THE INTERNATIONAL ENTREPRENEUR NETWORK TODAY! What if… something happened in your life that forced you to be unable to work in your business for a couple weeks, how about a couple months? What if… you could only work part time instead of all the time? What would happen to your income, your clients, your business? Would your business be able to sustain itself? Would the marketing and sales continue? Would things get done that need to get done so that you could pay your bills? If you have a good team of people, it’s possible that you might be ok. Luckily I’ve built in at least a good enough team of assistants to make sure the marketing is still running, the communication can still go out to clients and my community and someone can step in and get a lot of things done if need be. But it wasn’t always that way. I’ve been alone in my business before too, luckily not a lot of “life stuff” happened during those years. All the unfortunate things that have happened to me that have caused me to lose time working and/or could have affected my earning potential, have happened when I already had the team and the systems in place. But this is one of the biggest mistakes I see entrepreneurs making… they don’t prepare for the “WHAT IF” soon enough. Someone in your life will get ill, hurt or die and YOU have to step in to help them or the situation. YOU might have something go wrong and need help or be “out for the count” so to speak. Just today in fact, I’m shocked by two pretty young souls who were taken from us (or left). One pretty prominent guy here in the city I live in just committed suicide this past weekend, not sure what day, but Jason saw it on Facebook and he knew the guy. I feel so bad for his family. Then today I found out a friend of mine in LA died from cancer late yesterday, she was so young. I just posted a pic of us on my Facebook… Isn’t it crazy? You just never know. Life happens. Death happens. Crazy crap happens too. You have to be prepared in your business with the right funnels, marketing, systems and team, you just have to be. 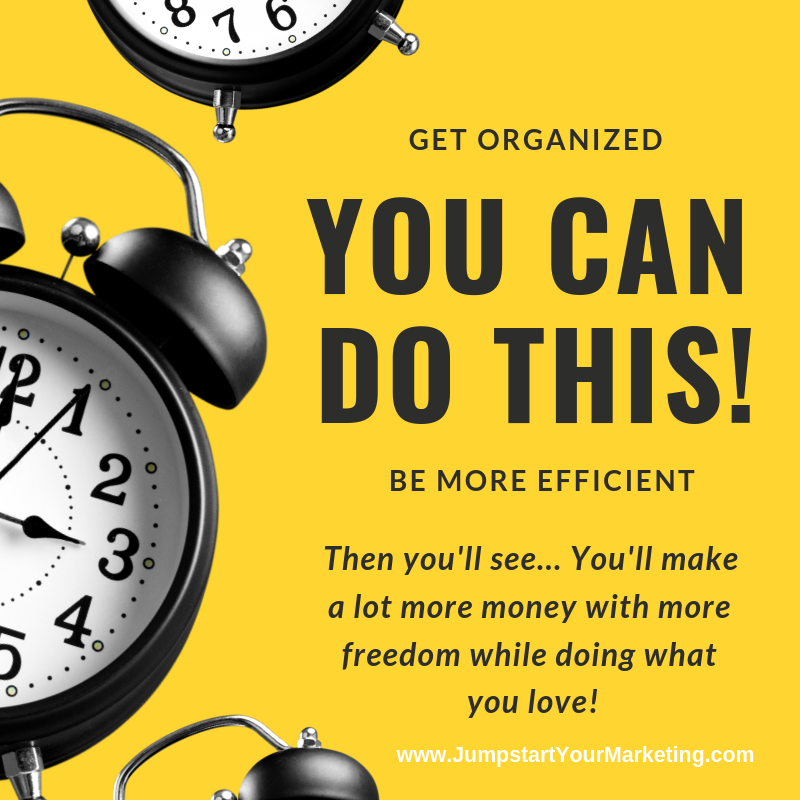 I LOVE helping people with these things and getting you all organized, set up and systematized, more automated and super clear on what you’re doing so you don’t have to stress in case something (anything) happens around you. Here are 3 options – PICK ONE! If you are new to me or want to truly “TRY ME OUT”… Join the BRAND-NEW International Entrepreneur Network for just $7/month and get help on our twice monthly zoom mastermind calls or inside the private Facebook group immediately! This is a community for masterminding, collaboration, resources, support and more. Plus founding members will have special access and visibility to the rest of the group moving forward, become a Founding Member today at www.iEntrepreneurNetwork.com! This is more of a tutorial type video showing you how to make sure you are totally prepared to get booked as a speaker in your business. So many entrepreneurs and speakers are NOT prepared to apply for more speaking gigs and they wonder why no one is calling them to book them. Well… this is one thing that could be stopping you from getting booked. The good news is that it’s super easy to fix so you can apply to get booked in dozens more places every year if not way more. Going global in your business is something most of us should be looking at how to do… whether you are a big corporation or a small, home based business, there are a lot of different things you want to do and ways in which you can market, sell, grow. This video was recorded during my Intl Speaker, Author & Entrepreneur Network Meetup Group’s FREE MONTHLY WEBINAR! Anyone can join us from anywhere on the planet that has internet access. You don’t have to be a member to join us on these meetings. The meetings consist of networking, speaker business training, and we have one speaker at each meeting who presents on their topic of expertise. It’s fast paced and packed full of knowledge each first Tuesday of the month from 5:00pm-6pm PST. You can apply to speak at an upcoming Sacramento Speaker & Entrepreneur Network meeting, at either the Live luncheon meeting or evening mixer in Sacramento or virtually on the FREE Webinar by going to http://www.SacSpeaker.com for more info and to fill out an application form.